Thanks a lot for agreeing to do this interview. I’m really happy you agreed to it. I would like to start at the beginning. What can you say about your early influences back when you were just a little boy? I’ll try my best to answer your questions. These things took place a long time ago, but I’ll give it a go. As a young boy, we didn’t have much music in the house. When I was 10, I received a small transistor radio for my birthday. The first music I remember hearing was that of Buddy Holly, and Elvis…especially “Heartbreak Hotel”. After that, I started listening to Fats Domino, Little Richard, Chuck Berry, and other black artists. I found this music much more interesting and soulful than most of what was being played on Chicago radio at that time. This eventually led me to the blues, and people like Big Bill Broonzy, Brownie McGee and Sonny Terry, and Muddy Waters. After that I was hooked. I pretty much stopped listening to AM radio, and really got into Blues and Folk music. I started learning to play the Guitar and Five String Banjo at this time as well. 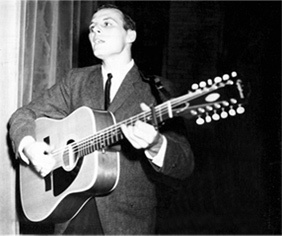 In the mid-1960s you performed folk and blues music in clubs in Chicago, and were a session singer with Dunwich Records. You released an album as The Village Singers and you also supported duo Len and Jud. 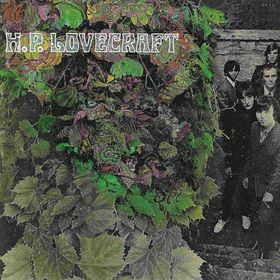 Later you released version of The Beatles’ “Norwegian Wood” on Dunwich in 1966 and many other songs too, before forming a new band, H. P. Lovecraft. What was the scene back then in Chicago? I played Folk Music in high school, then in Chicago area clubs, and later toured the country playing most of the many Folk venues that had become popular in the early 60’s. 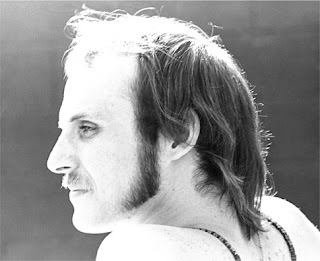 It was during this time that “The Village Singers” LP (unreleased) was recorded, and I accompanied Len & Judy on their album “Folk Songs Sweet & Bittersweet” for Prestige Records. 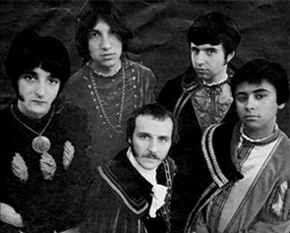 In the mid sixties, I began my association With Dunwich, working with them as a writer and session singer, eventually recording a series of singles for them. We recorded some of my original songs, and the Lennon/Mccartney composition “Norwegian Wood” among others. At the time, the folk scene was drying up, and the era of the singer/songwriter was beginning. I would like if you could tell me how did you guys come together and form a band? In addition to my solo career, I was also working as a backup singer with a trio, playing supper clubs in the midwest. David Michales was also part of this group. I was still pursuing a recording career, and had just recorded a Chip Taylor tune “Anyway That You Want Me” for my next Dunwhich single. After listening to the finished record, I decided to invite David to come in and add a harmony vocal. We had been singing together in the above mentioned group for a couple of years, and had developed a very good musical rapport, and a tight vocal blend. The recording went very well, and this became the first H.P. Lovecraft record. After that, we auditioned a number of musicians to fill out the group. Tony Cavallari (lead guitar) was our first recruit, and Michael Tegza (Drums) joined shortly thereafter. Finding the right Bass player was challenging. 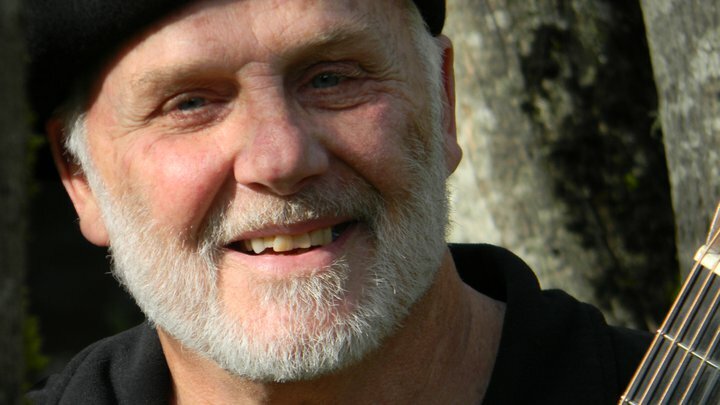 We finally settled on Jerry McGeorge the week before we began recording the first album. Recording was very different in those days than it is today. Then, a recording session was three hours, and you were expected to have a finished recording at the end of that time. We rehearsed for quite a while to be prepared for this, but other than Jerry McGeorge who had been with “The Shadows of Night”, I was the only group member who had any experience in the studio (At that time many of the recording groups used studio musicians to record their instrumental tracks, then they would come in and sing over them). We were different. We played all the instruments ourselves, and saw the studio as another instrument, and an opportunity to experiment. This of course took extra time, and caused some friction and serious head scratching among our producers, who just didn’t know how to relate to us and our ideas at all. Despite this, we recorded the first H.P. Lovecraft LP in about a week. Most of the material was from my folk repertory, or new original tunes that I had written for the group. You must been a huge H. P. Lovecraft fan. You got permission from Lovecraft’s estate, right? We became aware of H.P. Lovecraft (the author) because my manager had a dog named Yuggoth. When I asked where the name came from, he told me about Lovercraft, and I started reading his books. As fate would have it, one of our managers went to college with August Derluth, who was the executor of the Lovecraft estate. We got permission to use the name from him. Some of the early concerts you had was in a Chicago club called The Cellar. What do you remember from that shows? “The Cellar” was in a Chicago suburb. The only thing I remember about gigging there was a very hot and humid summer gig with “The Who”. The place was packed, and the temperature was close to 120 degrees. It was probably the most uncomfortable gig I ever played. The cover art for the first LP was done in house (Phillips Records) by their art director. I really don’t know much more about it. I know this will take some time, but I would like if you could comment songs on the LP. As I mentioned earlier, much of the material on the first LP was from my folk days. “Wayfaring Stranger” was a song I’d been performing for many years. The same is true of “Let’s Get Together”. “I’ve Been Wrong Before” is a Randy Neuman tune that I had recorded earlier for a solo record, but re-recorded with Lovecraft. “The Drifter” is a Travis Edmundson tune, also from my folk material. 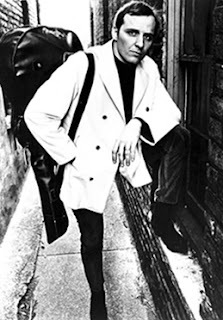 “That’s the Bag I’m In”, and “Country Boy & Bleeker Street” are both Fred Neil tunes. Fred was my friend and mentor, I learned these tunes from him. “The White Ship” is an original song, based on the title of a Lovecraft story, that I wrote in fifteen minutes on a rehearsal break. “The Time Machine” I wrote as a send up of a popular song of the day called “Winchester Cathedral”. It was a joke, and was never intended to be a part of the album. “That’s How Much I Love You Baby” came from something Tony Cavallari said one day…it stuck with me, and I wrote a song around it. “Gloria Patria” is a gregorian chant that some clever soul (probably the same one that decided to include “The Time Machine”) thought would be a good ending to the record. Did you play at any festivals? I wish I had some interesting stories to share about our early tours. As with most things, there were some great moments, and some not so great. 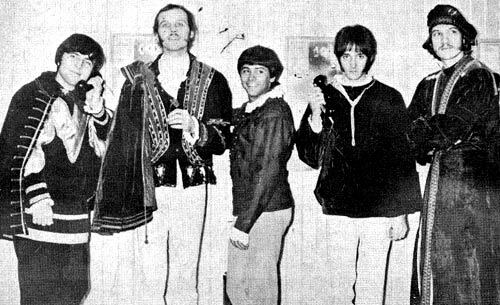 I loved gigging with Traffic, and Buffalo Springfield. Musically I felt we were well matched with them, and really enjoyed our shows together. Playing the Fillmore East was also a wonderful experience. In I.D. Sound Studios in Los Angeles you started recording your second album called H.P. Lovecraft II. I would like again if you could share what do you remember from recording and producing this LP. What can you say about the cover artwork? Recording the second LP was a stressful time. We had been on the road constantly for over a year, the label was pressuring us for new product, and I had no time to write. We also changed Bass players just before recording. ID sound was a very strange place, with very strange energy. 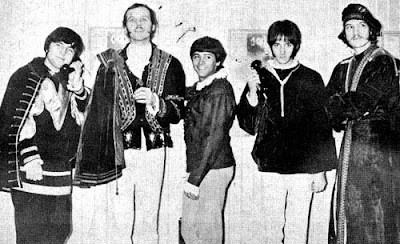 It belonged to “The Beach Boys”, some of whom weren’t even speaking to each other at the time. You could feel the vibe. One night while we were recording there, I noticed a fellow sitting quietly in the corner. I thought he had come with one of the other band members, but when I asked who he was, nobody knew. 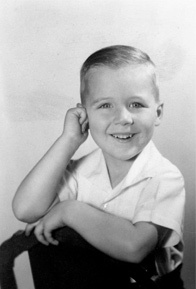 I later found out it was Charles Manson, who was a friend of Dennis Wilson (Beach Boys). To give credit where it’s due, I must mention our incredible engineer Chris Huston. without him and his very innovative ideas, this record never would have happened. Most of the original tunes on the LP, I wrote in the studio as we were recording. Two of the songs “It’s About Time” and ” Spin, Spin, Spin” were from Terry Callier, who I later produced. “Blue Jack of Diamonds” was written and sung by Jeff Boyan (our new Bass player). The rest were cobbled together to fulfill our contractual obligations. For me the highlight of this recording was reuniting with my old Chicago friend Ken Nordine (Nothings Boy). Ken is the originator of something referred to as “Word Jazz”, the precursor of what’s called “Rap” today. He has a number of LP’s , all of which are still relevant, though they were recorded in the 50’s. 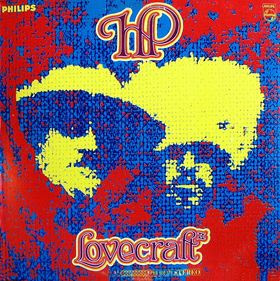 The cover art for H.P.Lovecraft II was done by photographer Tom Gundelfinger who later did the cover photo for the Deja Vu album by Crosby, Stills, Nash, and Young. The artwork, desigh, and lettering, was by graphic artist Bob Schnepf. After the original band broke up, I attempted to reform the group. By this time, I was managed by Bill Graham, and had a new recording contract with Reprise Records. It was a disaster! First David Michales dropped out due to personal problems. Then there was a huge power struggle with the new group members. It was unbelievable! I tried my best to make it work, but ended up abandoning the project before anything was recorded. The record was released, but Reprise who had a sizable investment in the group lost interest, and that was the end of that. What were you doing after that and what are you doing these days? After that, I took a few years off, bought a farm, and started a family. The music business had really changed, and I had pretty much lost interest. At some point though, I realized that I’d always be making music in some form or other, so I built a recording studio and began writing and producing music for Radio and Television. 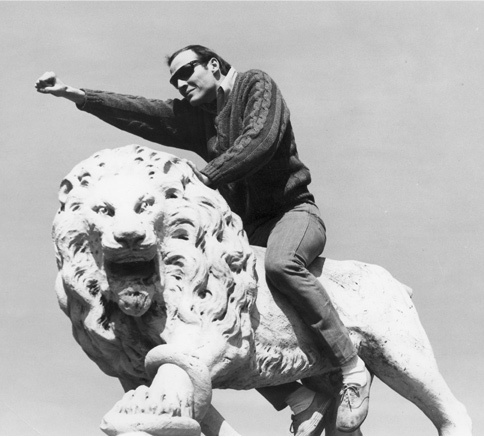 I did this for a number of years, winning two Clio awards along the way. Most recently I’ve produced a CD of some of my original songs “Reflections” (released earlier this year). It’s available on line at CD Baby, or from my website www.ethankenning.com. Thanks for this interview. Ethan, after all these years your music is still being discovered and bringing joy to many listeners, including this one. The psychedelic internet station I listen to plays it often. I'm too young to have heard it the first time around, but so glad to be hearing it now. The White Ship is an atmospheric masterpiece. I wonder if any footage exists anywhere of any of their live shows? Thank you for this wonderful interview, full of infos! I'm a big fan of HP. 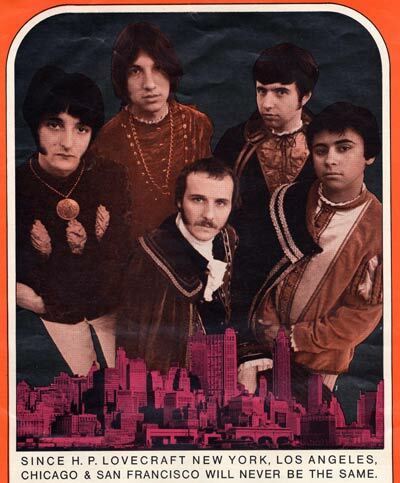 Lovecraft , the author AND the band too: they were one the best psych follk-rock of the 1960s imho.